It is quite warm in the Philippines, and what best to cool off than a fresh drink? We love how veggies can come in handy! Peel, remove seeds and dice the cucumbers. Place in a food processor until you have a puree. Transfer to a bowl and add the gin, cover and chill in the fridge. Meanwhile, chop the mint, and mix with the lemon juice, and sugar in a pitcher. Take the cucumber mixture out of the fridge, strain with a sieve and press to extract the juice into the pitcher. Mix well. 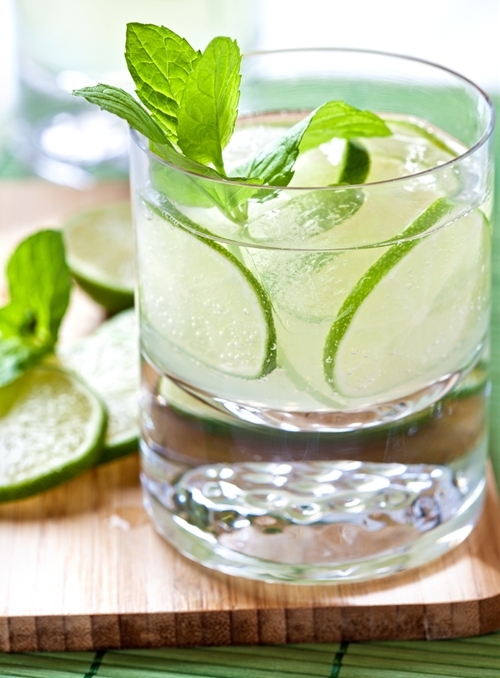 Serve with ice cubes and garnish with lime or cucumber slices and left mint leaves. Categories: Cucumber, Recipes | Tags: beverage, cocktail, drink, mint | Permalink.